Salvatore Bittner is an associate with Andrews & Price and focuses his practice in the areas of litigation, real estate tax assessment appeals, and contract negotiation. 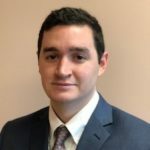 Mr. Bittner received Bachelor of Arts Degrees in Political Science and Philosophy from Penn State University in 2013 and his Juris Doctor Degree from the University of Pittsburgh in 2016. Mr. Bittner was admitted to practice in the Commonwealth of Pennsylvania in 2016 and was admitted to practice in the United States District Court for the Western District of Pennsylvania in 2018. As a student in law school, Mr. Bittner served as a legal extern for the Honorable Cynthia Reed Eddy with the Western District Court of Pennsylvania. He also worked as a clerk at the law firm Willman & Silvaggio. 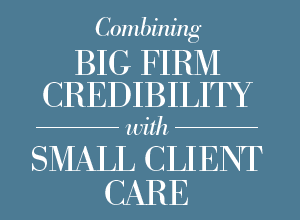 While there he worked in asbestos products liability claims, property disputes, personal injury claims, and contract claims. Additionally, Mr. Bittner was a Certified Legal Intern with the University of Pittsburgh Health Law Clinic where he did advocate work for indigent children to gain Supplemental Security Income and developed individualized special education programs.